In recent months, events have shown that Cuba has begun to enter a new phase. To sum up a reality in which one is playing an active role is extremely difficult, especially when signals mix with facts, replacing the foundation of verifiable information. However, the signs are clear enough: the Cuban government is in checkmate. An erratic and twisted foreign policy, a bankrupt economy, a state of increasing social discontent and lack of confidence within the country, plus the successive fractures suffered by the ruling party leadership itself point to the galloping deterioration of the system. The year 2010 has proved particularly difficult for the regime. The deaths of dozens of patients at the Psychiatric Hospital, the death of political prisoner Orlando Zapata Tamayo and current hunger strikes by Guillermo Farinas and several political prisoners have publicly unmasked the regime’s despotic nature and exposed the systematic human rights violations in the Island. The clique of landlords is watching its deceptive mask collapse, and has lost thousands of naïve (and not so naïve) followers and supporters who believed, or pretended to believe, in the revolutionary project as an example of social justice. Indubitably, foreign cronies have realized that you cannot simulate decency and simultaneously support a satrapy. Late last year, some foreign journalists asked me about my personal perception of the Cuban government’s performance over the medium term in relation to its internal dissent. At that time, I said that, based on historical experience, an increase in repression was expected, which was also the view shared by many of my colleagues in the Island. Subsequent events have proved me right: arbitrary arrests, threats, verbal and physical aggression on the part of the mobs and the representatives of the authorities -whether uniformed or civilian- against independent civil society citizens indicate that the wounded beast is not willing to budge an inch and will do everything possible to retain absolute power over a nation it regards as its property and asset, including the provision of slaves. It is very likely that repression will increase at the same pace as the regime feels it is losing. On the other hand, the moral contrast between the extremes is undeniable. Orlando Zapata’s quiet dignity in facing his own death, and that of Guillermo Fariñas, despite his frail health, or of the 75 of the Black Spring, who refuse to even consider being exchanged for mediocre spies, of the Ladies in White, who march, armed with gladioli, against the violence of the wolf pack –trivial and vulgar, blackmailed by the authorities and forced into such a sad service- and of the resolve of many members of the independent civil society to peacefully exercise their rights to association and to the free expression of their views and differences are earning the public’s respect and support, and constitute the strongest indictment of the repression applied by government forces and of the facts of corruption among senior leaders that have been made public in recent months. Tropical socialism’s big lie, the worn out myth of the olive green guerrillas and the shreds of what once was its symbolic force, the zombie effect that previously lorded over Cubans, and the glare of the eternal external lovers, those well-heeled leftists, are in countdown mode. Nobody knows how long the fall will be, but, without a doubt, it is already unstoppable. The original idea in creating the Association originated with Wilfredo Vallín, who was greatly inspired by the signing of the Covenants on Civil and Political Rights and on Economic, Social and Cultural Rights of the United Nations, which ignited -as expressed in the founding document- “a flame of hope, though certainly still small and hesitant, at the end of the tunnel through which we passed many years ago.” Two years after what has proved to be a symbolic signature for the Island’s government, now submerged in a deep structural and moral divide, the Cuban Law Association, however, enjoys superb health and great prestige among an ever-growing sector of Cubans in the independent civil society (and also many ordinary citizens with no connection to these sectors), who have benefited directly or indirectly from the work of these jurists. Of the four essential foundations of the Association, the first is undoubtedly of paramount importance in a country whose population has traditionally suffered from chronic legal illiteracy, currently aggravated by more than 50 years of totalitarianism. Cubans generally do not even know the rights (mutilated, emaciated, disabled or incomplete, but rights after all) that are contained in laws enshrined in the current Constitution, which makes us even more vulnerable to the abuse and violations of the dictatorship. Perhaps exactly for that reason, officials fear the work of these independent lawyers: nothing is more useful to the regime as bovine ignorance in order to continue to keep its human flock blind and submissive. For the government, which has fed on the fear and legal obscurantism* of the Cubans, Wilfredo Vallín’s effort and the efforts of all the members of the consultancy which he heads of instructing us as rightful citizens seem subversive, so they have tried strenuously to prevent the work. In vain. The first semester of our Blogger Academy has recently ended. For six months, dozens of Cubans of various ages, trends and creeds participated in Wilfredo Vallín’s outstanding classes in Ethics and Law. During that time, we had a group of lawyers from the Cuban Law Association in class who gave us their extensive legal expertise, we learned the history of law, the Cuban Constitution, the Criminal Procedure Act and numerous examples of how, on a daily basis, our most basic rights are being violated. Professor Vallín’s classes became the source of the most heated debates twice a week, and were also an encouragement for claims to exercise our rights, recognized in law by the very regime that walks all over us. After lessons learned from the specialists of the Association, we have matured as citizens, and we have fully realized that, even under dictatorship circumstances, the only slave is he who chooses to be one. Photo: Attorney Wilfredo Vallín during one of his lectures at the Blogger Academy. A few months ago, the residents of the neighborhoods bordering the Carlos III Shopping Center, in downtown Havana, initially thought that all the hustle and redesign that had been unleashed there was just a superficial change of image. When the soil and ornamental plants of the central courtyard were emptied out, though, some disparaged that they must have been repairing some leakage in the pipes, but that was not the case. Soon after, the area was packed with equipment for children’s rides, the kind that, for 25 cents CUC, amuse small children with a one-minute ride. In addition, they were installing billiards in an area reserved for well-to-do drunks. The front area was converted to shopping, with tables for food service, while new shopping areas have been added inside, such as the perfume and cosmetics boutique, the kiosk for homecrafted perfumes, an expansion of the toy store and –more recently- the renovation of a large area that, though it is still closed, already flaunts the suggestive “Persian Market” sign. To complete the fun, from the market’s morning opening, the loudspeakers’ thundering music invades a great portion of the neighborhood’s auditory spectrum, resounding even louder than the usual traffic noise on the avenue. The truth is that the Carlos III Market, as some who are used to the name keep calling it, was changing more than its image. Now, there is a new manager with a supreme and desperate mission: to raise the maximum amount of money from every coast (and at all costs). In order to accomplish this, he has reduced the staff, expanded the hours at the market the butcher shop and the recreational areas, and he has established a monitoring system and strict control over his subordinates. The powers given to this recent chieftain must be great, (or it may be that he is not so recent as much as hidden), that even the lion, Havana’s baseball team mascot that cheers-on at the Cerro Stadium games, parades around with the logo of the familiar Carlos III Shopping Center on his royal tunic, as if it was the coat of arms of some nobility. The designs of the lords of the manor are whimsical, but never trivial. Without a doubt, the Chieftain of the store, as some mean-spirited people are already calling him, is a trusted man of the lords of the manor, and he has decided to faithfully fulfill his historic destiny: to feed the coffers of the tutelary deities of the Castro leadership. And his zeal is so strong for this task that he has also discovered an honest and legal way to exploit, in a civilized manner, other murky sources of income. Now, while you take your little one to be entertained at the shopping center’s “park”, or simply to have an ice cream, the coin-operated machines, in complicity with your little kid carry out the task of emptying the change from your usually meager pockets, you will always count on the presence of pimps, prostitutes, potheads and dealers of all kinds, from these and other Havana neighborhoods, happily shouting out vulgarities while drinking beer, smoking, playing pool and spending overboard their ill-gotten money, to which the man on the street has no access. No matter. We have to produce more! Let it all be for the revolution and socialism! A few weeks have elapsed since the shocking deaths at the Psychiatric Hospital in Havana, and the photographs of the emaciated and battered bodies are already circulating through numerous computers. The pictures, almost unreal, are reminiscent of those other bodies stacked in Nazi death camps more than 60 years ago, and, once again, put salt on the open wounds of Cubans’ public opinion. “Cuba has a worthy and irreproachable track record in protecting the right to life, even by means of unselfish cooperation across its borders”. It is impossible to sketch an insult out of words. I will just imagine each of these pictures of the deceased against paragraphs of the new herald of the State, to try to find some light, however dim, to explain how so much cynicism can fit into a government. Each of these photos, by itself, is an admonition and a condemnation of the Cuban regime. I wish I could further understand how a young person, such as Mr. Rodríguez Parrilla, looking almost naive, a nameless stranger only yesterday, whose hands were not blood-stained like those of his mentors, offers himself as the volunteer accomplice of crimes which until now –presumably- did not belong to him. You cannot be civilized and, at the same time, keep your back turned to the Cuban reality. The government’s mask of compassion must not continue to mock essentially moral principles that implicate and compromise everyone. The dozens of emaciated pseudo-humans who have died or who still survive at Mazorra and other “hospitable” institutions of the generous State, political and common prisoners from the dark Cuban prisons, the memory of Orlando Zapata Tamayo and those who preceded him in martyrdom, and all of us who enjoy the dubious privilege of Human Rights Castro-style, should have a place in Geneva -even just a modest virtual, but permanent space- where we could represent ourselves before the world and where we would be listened to with the respect and the Rights we have not enjoyed in our own country for more than half a century. Throughout the history of political imprisonment, hunger strikes have been almost the only recourse for prisoners to express their dissatisfaction, either with the inhumane prison conditions, with abuse, or with complaints of various kinds. The Cuban political prisoner under Castro’s dictatorship is not the exception; our history over the last 50 years provides valuable evidence about these strikes, and more than one martyr has lost his life as a result. Orlando Zapata Tamayo, who died on February 23rd, 2010, is the most recent. It was reported that, since this very February 24th, independent journalist Guillermo (Coco) Fariñas has declared himself on a hunger and thirst strike, demanding the immediate release of his (and definitely our) fellow prisoners of the Black Spring who – in a state of severely deteriorating health, many of them in danger of losing their lives – are serving arbitrary sentences in the Island’s prisons. Several political prisoners are also on hunger strikes, while the authorities bask in their insolence, ignoring their demands, and even denying the “plantados”* their status as political prisoners. Yesterday, February 25th, I spoke by phone with Coco Fariñas and offered him my solidarity. 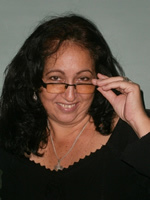 Personally, I don’t approve of hunger strikes, because I think every defender of civil rights and democracy is extremely valuable to Cuba, and – given current circumstances – I fear for their lives, yet I deeply respect their principles and attitudes and fully support the justice of their cause, which is that of many Cubans. In the midst of the deepening crisis within the island, when the government seems to be witnessing the beginning of its decline and it’s becoming angrier and more repressive, it is urgent to take action to protect these defenseless Cubans who, in such a dignified way, safeguard our national pride. I ask each reader who follows this blog to convey to his relatives and friends in Cuba the information about this struggle that, humbly and courageously, is being waged by those persecuted by the dictatorship. I ask readers to spread the word of what is happening behind the flags and fanfares of the government’s cover-up, in order to destroy the lies and misrepresentations that the official press and its lackeys broadcast about civic resistance. We can’t afford to turn our backs or to look away just now: our solidarity is the only sustenance we can offer the strikers. It is necessary to break the official silence that seeks to hide the truth of what is taking place inside Cuba. The people need to know that our hopes rest only upon the sacrifice and efforts of our most honorable. Let’s not allow them to be left alone. *Those who refuse to do the Cuban communist government’s bidding.